A YouTube channel called “Unboxed Therapy” has tested two similar iPhone 7’s to see if their performance remained consistent. One was a 32GB iPhone 7, and the other was a 256GB model. Though supposedly similar in design and function, the performance results are markedly different. The Unboxed Therapist is Lewis Hilsenteger, and his mandate is to take the coolest products and strip them naked to separate them from their hype. 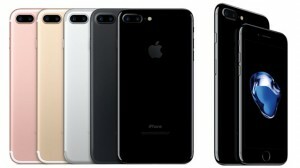 Looking at Apple’s new iPhone 7, Hilsenteger wanted to know if the speed performance of the cheapest 32GB model was the same as the most expensive 256GB model. What he found appears to be shocking. Taking an app called Performance Test, Hilsenteger measured storage write speeds for both 32GB and 256GB models and what he found was interesting. 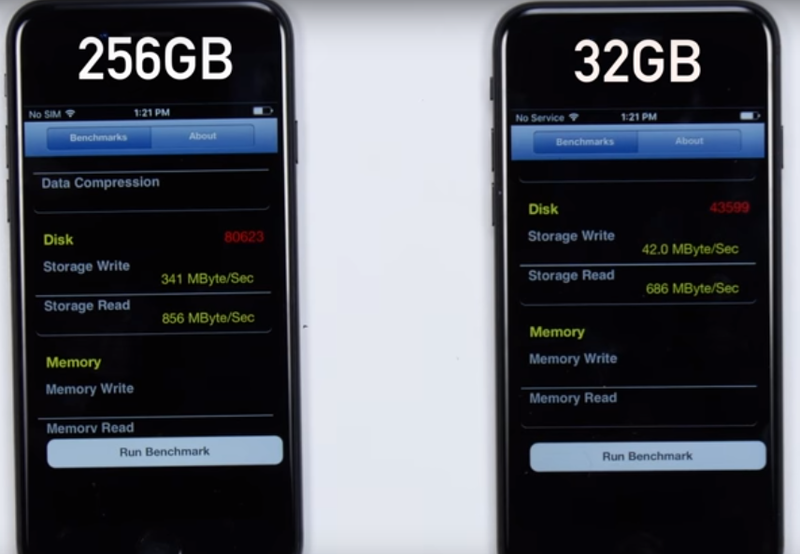 The 256 GB iPhone 7 was dramatically faster at writing to storage than the 32GB model. The 256GB model had a write speed of 359 MBps and a read speed of 851 MBps. Meanwhile, the 32GB model, by contrast, had a storage write speed of 42 GB per second, nearly ten times slower! And we can only assume that the results of a similar test with the iPhone 7 Plus would be even more pronounced. For comparison, I ran Performance Test with my 64GB iPhone 6S plus to see how much better the 7 would perform. The write/read numbers were 175 MBps / 415 MBps respectively. To verify these results, Hilsenteger then transferred a 4GB movie file over iTunes to each iPhone, timing how fast it would take to sync the movie. In this test, he found that it took nearly 40% longer for the 32GB model to transfer over the 256GB model. “The less expensive SSDs almost always get hit in the write performance,” Hilsenteger concluded. Hilsenteger is right, of course, especially considering that the latest editions of iPhone can shoot in 4K. With ultra high definition, the faster the write speed the better. Still, I’m wondering, about the results of his test… Not from a bottom line perspective, but from a sheer numbers perspective. Sandisk recently announced a 1TB SD Card that has a write speed that tops out at 90MB/S. Can the iPhone 7 really write at four times the top-of-the-line SD card on the market? This may point to a more through testing from a sheer cinematic performance perspective be covered. 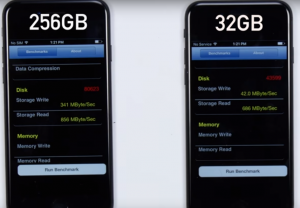 But even if you consider the numbers may be a bit off, the fact that the 32GB model is dramatically slower than the 256GB iPhone 7 model is the take away here. The iPhone 7 may be a consumer device, but it has been used to shoot everything from low budget films to music videos and high-end commercials. If you’re going to be doing any kind of serious mobile filmmaking, you’re going to want to invest in the 256GB model, not just because it has more storage, but if these results bear out, it performs a heck of a lot better.